Aired in the US, the April 10 BBC World News telecasts, repeatedly opened with the claim that Russia vetoed a proposed UN resolution to inspect the area of an alleged chemical attack in Syria. Later on, in the same telecasts, there is a contradictory and downplayed reference to a Russian proposed UN resolution (on the issue at hand) that was vetoed. The aforementioned contradiction is in line with Anglo-American mass media telecasts, stating an alleged chemical attack by the Syrian government, followed later on by the hosts and guests in (overall majority terms) referring to the claim as a fact, with little if any opposition. In conjunction with being fair and balanced on this subject, good journalism would detail the differences between the aforementioned UN resolutions, inclusive of competent analytical input from individuals with truly diverse views. That’s the kind of setting which is typically not evident in the geopolitically correct TV news entertainment industry, that heavily slants in favor of anti-Russian leaning views. A rare exception is Fox News’ Tucker Carlson. Far from being monolithic, the UN is subject to biases. Going back to the Cold War period, it was commonplace to hear pro-Israeli supporters in the US complain of biased UN resolutions and UN departments which slanted against the Jewish state. This sentiment lingers on. In the post-Soviet new world order, one finds some predominating biases against Russia at the UN. A point that relates to Russia’s stance on investigating the recently alleged chemical attack in Syria. It has been said that history has a way of repeating itself. Scott Ritter and some others have noted that Saddam Hussein’s apprehension with the UN inspection of WMDs in Iraq had a reasonable basis. Some of those involved with that investigative process appeared to be influenced by the desire to seek a regime change agenda against the then Iraqi leader. Within Anglo-American foreign policy elite circles, this preference was noticeably prevalent back then – inclusive of seeking inspectors with intel ties, who would acquire non-WMD information, that could be strategically used to militarily overthrow the Iraqi government. Concerning the most recently alleged chemical attack by the Syrian government, has there been any objectively detailed follow-up on the filmed individuals said to be witnesses and/or victims? In this day and age, movies make very accurate depictions of actual atrocities. As of this writing, the reported World Health Organization observation of people exhibiting chemical attack symptoms (from the area at issue), is broad and doesn’t address the possibility of such traits resulting from something other than a Syrian government chemical attack. The rebels have possessed the capability for initiating a chemical attack, and stage scenes to conform with their agenda. Once again noting (from prior correspondences of mine) the stunt from years ago, with the Kuwaiti diplomat, conjuring up the fake claim (using staged video footage) that Iraqi forces were taking babies off incubators in Kuwait. That incident brings to mind others, like the fake evidence, false claim of Iraq having WMDs, a Brit court finding, saying the Russian government “probably” poisoned Alexander Litvinenko (never minding his Italian friend, who was arrested for arms smuggling and who was also infected with polonium, along with Litvinenko’s ties to anti-Kremlin propagandist Alexander Goldfarb) and the latest suspect claim of Russian government involvement in the poisoning of the Skripals – along with two prior suspect claims that the Syrian government used chemical weapons. The April 10 UN Security Council meeting on the subject of chemical weapons in Syria, underscores the differences between Russia and the leading Western powers. On the previous day, the very same body had a lively discussion that (among other things) brought into play the history of Russia, the US and UK. In reply to Nikki Haley‘s churlish remarks, her Russian UN counterpart Vasily Nebenzya, said that Russia didn’t seek becoming America’s friend. Upon further review, I believe he specifically meant the likes of Haley, as opposed to Americans at large. Nebenzya stated that a true friendship doesn’t involve doing whatever the greater power wants – something which Haley has been on clear record for advocating. Regarding this very issue, the UK’s UN Ambassador, Karen Pierce noted a close, friendly US-UK relationship. Historically speaking, that hasn’t always been the case. Relative to the US, compare the Russian and UK positions during the American Revolution, American War of 1812 and American Civil War. In addition, note the US assistance to Russia during the Crimean War, when the latter fought against Britain, France and the Ottoman Empire. In other instances, Britain, the US and Russia found common cause during two world wars. Russia and Britain were earlier allied against Napoleon. Foreign affairs isn’t (at least in many instances) pragmatically gauged in terms of a “friend”, as clearly favored by the Brit statesman Viscount Palmerston, who said that Britain has interests as opposed to allies – a more mature approach to Haley’s simplicity. The situation with the Skripals and the alleged use of Syrian government chemical weapons, have suspect claims that might very well flop in finding any clear proof to legitimately substantiate the blame Russia mantra. Meantime, the anti-Russian double standards are quite evident. On the one hand, some are okay with the British government greatly managing the follow-up on the Skripals, with a noticeably limited neutral overview (to date as of this writing). When it comes to the alleged chemical attack in Syria, some already suggest a guilty Syrian government, with Russian culpability – while readily believing the suspect partisanship of the White Helmets. The likes of Fox News’ Brian Kilmeade, simplistically say that Russia’s strength in Syria is too limited to scare off a definitive US led strike. 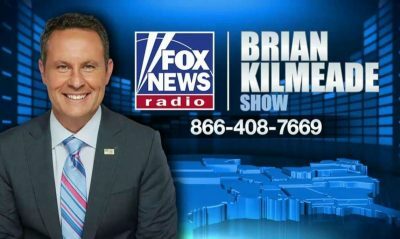 Kilmeade downplays what Russia could do with its arsenal not in Syria. At play, is the potential for a kind of modern day Cuban Missile Crisis. Bluster has been reported from Russia’s ambassador in Lebanon – something that Western mass media has featured, along with Donald Trump’s threatening tweet. Since these statements, calmer and practical views have been expressed within US mass media and the Trump administration. Neocons, neolibs and flat out Russia haters, will view a militarily weak Russia (relative to a substantial US attack on Syria) as a means of gradually reducing Vladimir Putin’s popularity in Russia. The Western bombing regime change operations in Iraq and Libya didn’t bring greater stability to these nations. My October 9, 2015 commentary “Answering Russia’s Critics On Syria“ remains coherent. This article was originally published on Strategic Culture Foundation. Michael Averko is a New York based independent foreign policy analyst and media critic.